If you’re going to add a credit card to your wallet, you want to make sure you’re doing so when you can get the most bang for your buck. That is exactly what the latest offer from Chase represents with their United Explorer Business card, a best ever 75k after $5k spend. If you’re someone who regularly flies United, the benefits you’ll enjoy on the airline outweigh the $95 annual fee year after year. Let’s take a look at them and I’ll explain my thinking. 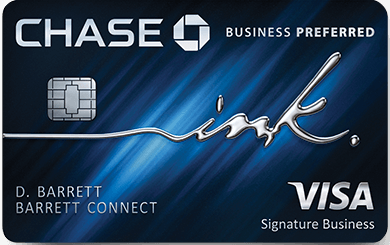 Learn more about the Chase United Business Explorer card and compare it with other small business credit cards here. The 3 benefits I think outweigh the $95 annual fee. 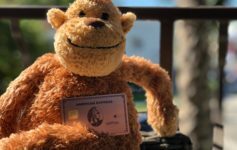 Unless you maintain status on United you’ll be paying $30 every time you check a bag, this card eliminates that worry and expense. 2 United Club passes every year. These are worth roughly $50 a piece, the passes alone cover the cost. The LAX lounge is fantastic, but if you’re ever traveling through London…wowaweewa! This isn’t a myth, you do get access to more space on more flights. The ability to use your miles with greater ease is very valuable. What can 75k United miles do? I just flew back from South America on United’s brand spankin’ new Polaris. Great product, and can be yours for 60k United miles. It’s also rolling out on more and more flights to Europe and Asia. There are also the partners…like Swiss Air and their Throne. Just 70k from the States to Europe. United is also a Chase transfer partner. This is one of the best parts of the Chase portfolio of cards…crossover. Let’s say you really want to fly on Lufthansa First Class and use United miles, but don’t have the 110k miles it would take. The 80k you’d earn ( 75k welcome + 5k spend ) would put you within 30k of your dream redemption. You could use the points you’ve earned from cards listed below to shore up your balance.